Christmas Ornament Kit from Rachel's of Greenfield. Make sure to see all of our Felt Christmas Ornament Kits! The Christmas Woolens Felt Ornaments Kit is a quality holiday felt kit from Rachel's of Greenfield. This complete ornament kit includes everything you need to create 6 unique ornaments, including wool felt, embroidery floss, gold string, precise patterns, and complete instructions. 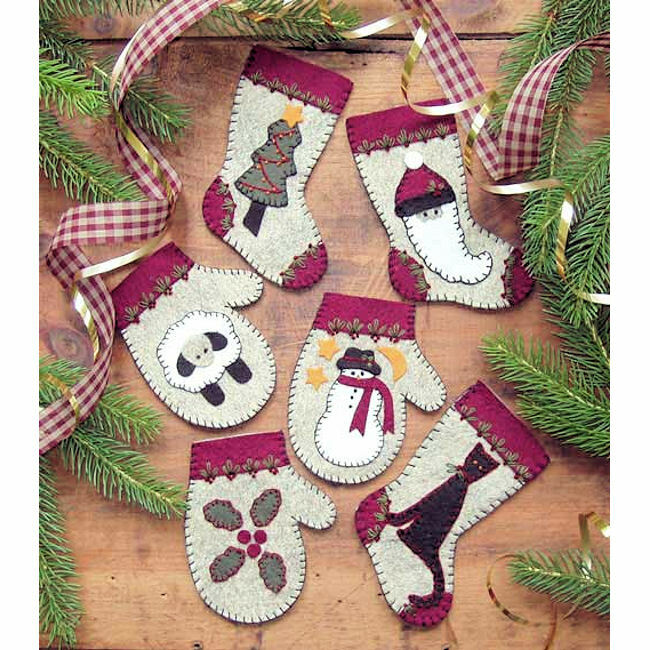 There are patterns for 3 mittens and 3 stockings with creative holiday designs including a Christmas tree, snowman, wooly sheep, black cat, holly with berries, and Santa. Colors are cobblestone, red, green, black, white, and gold. This is a creative holiday craft kit for you to make your own handmade Christmas ornaments this holiday season! These ornaments open at the top and can be filled with small treats or a note card, perfect for trimming the tree or decorating gift packages. 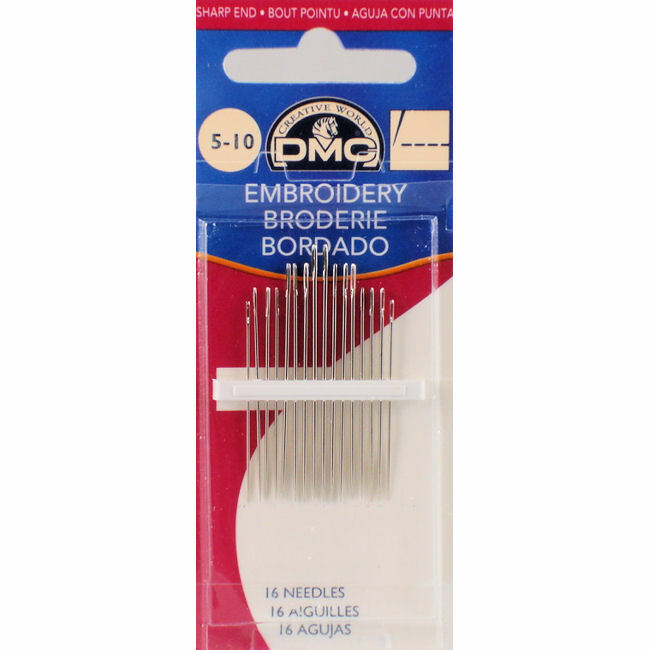 You will also need an embroidery needle to complete this project (not included in kit, but available below for purchase if needed).